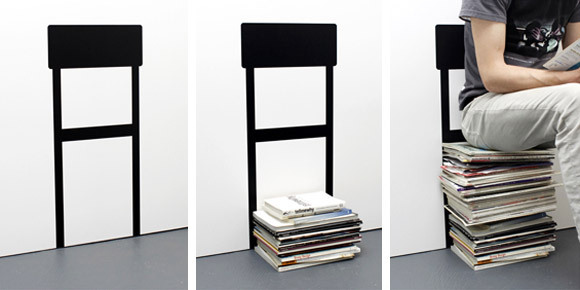 Get this vinyl wall-sticker stick up and stack up your mags and newspaper and it will turn into the Stack Chair. Vinyl priced at £30.65. Hahaha you kidding me? Thirty pounds for that piece of black stickers.